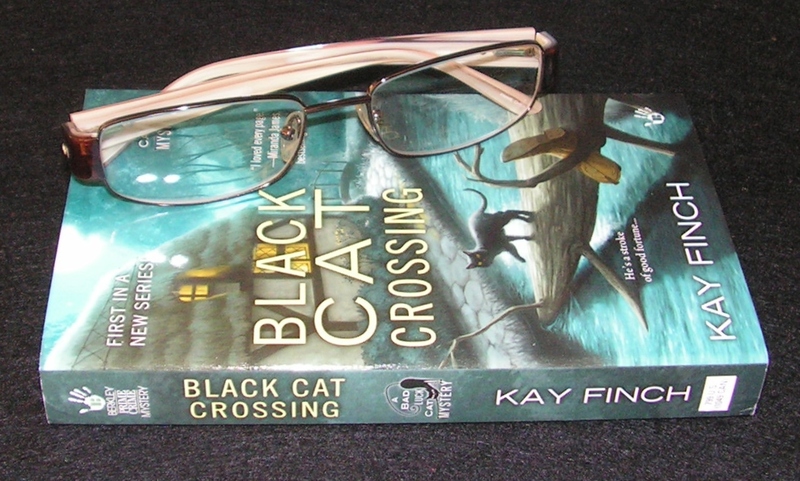 Author Kay Finch is the new cat’s meow of cozy mysteries. 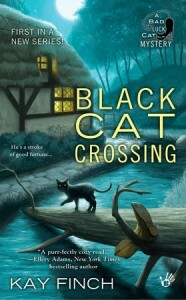 A cozy mystery where the protagonist is an aspiring mystery writer and a black cat that is supposed to be bad luck? How was I going to pass on this one? And then, on the very first page there is a coffee shop that plays disco music. Author Kay Finch must have my house bugged! To say I loved BLACK CAT CROSSING would be an understatement. This first book in the new Bad Luck Cat Mystery series was absolutely purrfection (Oh come on, I had to!). Sabrina Tate, the above mentioned protagonist, is a fantastic cozy lead. And I adore her Aunt Rowena “Roe”. And Hitchcock the cat is sure to be a favorite among readers. I look forward to reading more about them in future installments. Ms. Finch has written a book packed with mystery and intrigue. Each chapter brought something new and exciting to the story. All culminating in a surprising reveal that left me both shocked and breathless. Look for the yummy recipes at the back of the book!